Fantastic mid-century remodel in the popular Harvey Park neighborhood. This 3 bedroom 2 bath home has undergone a complete remodel, with a new kitchen featuring granite counters, new stainless appliances and cabinetry. You will love the new tile floors and the original refinished hardwood. Both bathrooms have undergone a custom renovation. This 1957 home features new wall texture and coved ceilings common with homes built in this era. The average home price in Denver recently eclipsed $500000, and this is your opportunity to own in one of the hottest areas of Denver for well less than $500000. 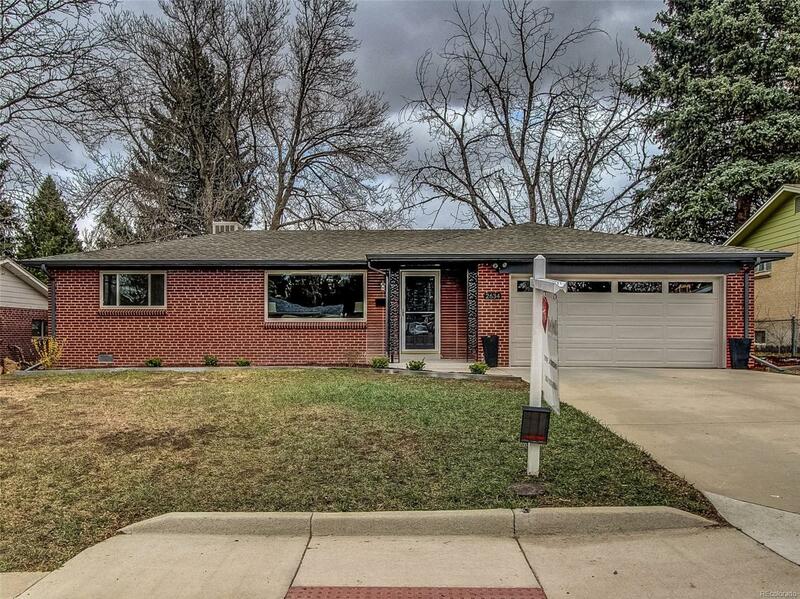 This home is steps from Harvey Park with an easy commute to DTC or Downtown Denver. Two car garage with gas heat, newer roof and gutters and recently updated electrical service. This home won't last long!